Creates polls with ease, gets instant feedback and learns more from your audience than yes, no or maybe so. 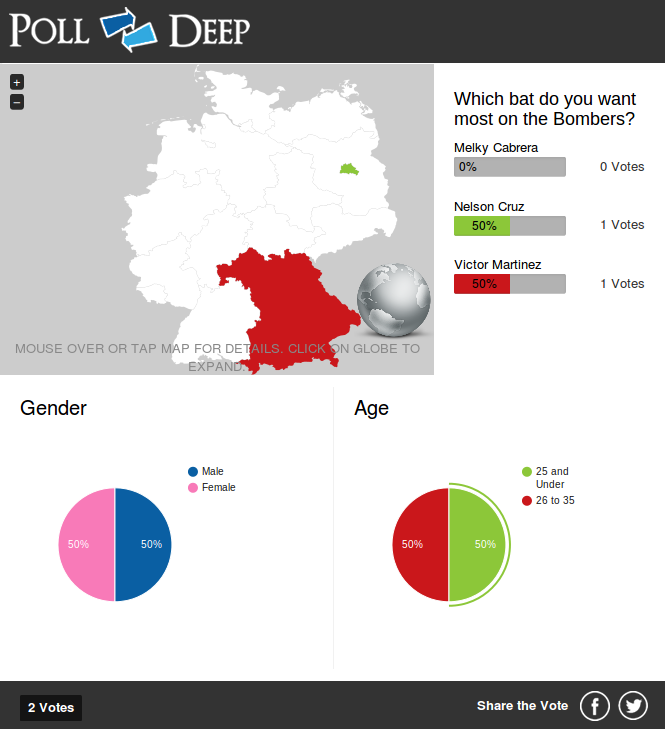 CREATE YOUR POLL NOW.You will have your audience answering in seconds. 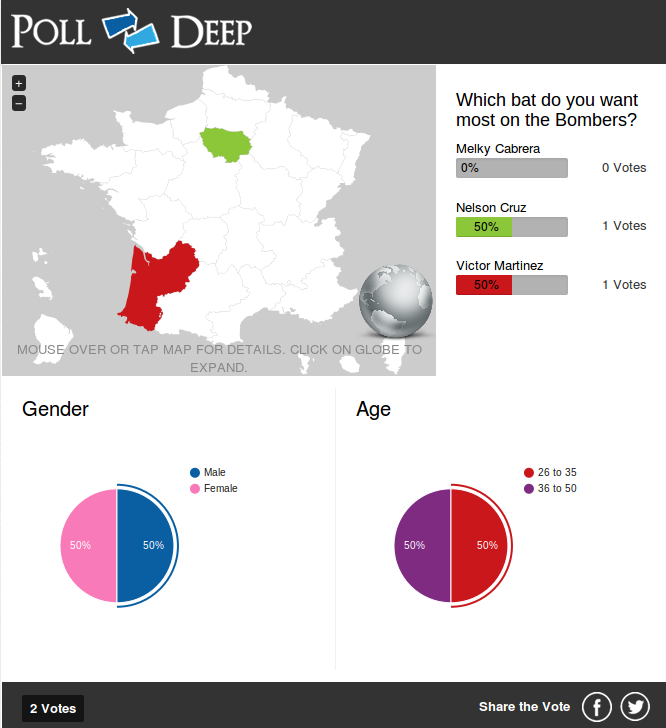 PollDeep will not only show the poll results, it will also provide you and your audience with a snap analysis. Mouse over the PollDeep maps to see individual state or province statistics.Click on the globe to see the world. 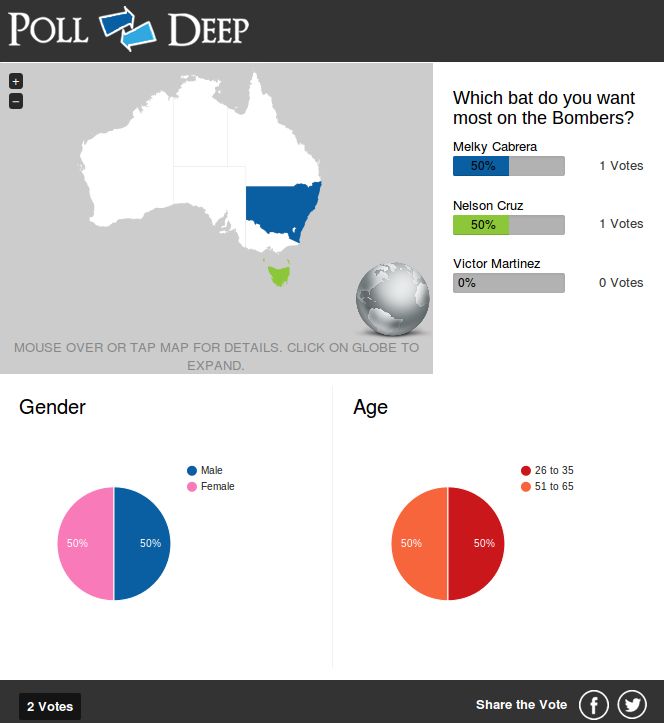 The PollDeep platform will allow you to include optional Gender and Age Bracket categories for deeper analysis. 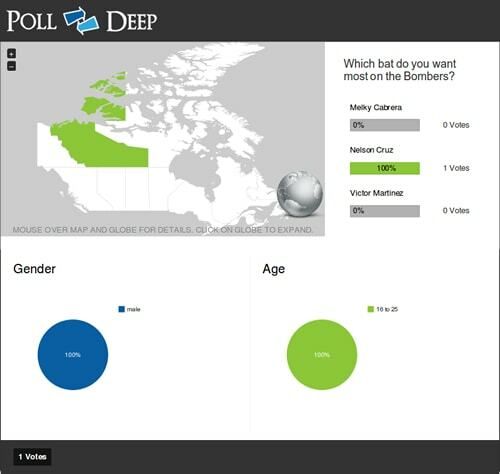 The PollDeep platform can customize your poll and change the look to suit you and your brand. Your audience can share your poll via social media and drive traffic to your site. With the PollDeep global map, you can easily compare and contrast your country’s voting against another. 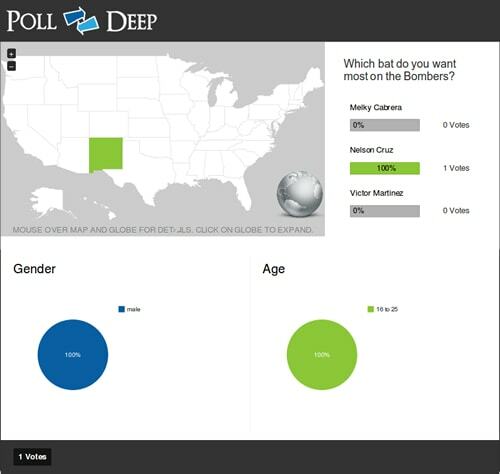 The PollDeep plugin enables you to add a poll to your WordPress website. Our plugin lets you create, edit, view, analyze, delete, open and close a poll. You can manage all poll functionalities from your own website rather than from the PollDeep site. Get started and create your poll, it’s FREE!